SAVE 35% ON OUR BRAND FAUX WOOD VERTICAL BLINDS! Our Faux Wood Vertical Blinds are ideal for sliding glass doors and will work well in most any sized windows. They also coordinate with our 2" horizontal blinds. 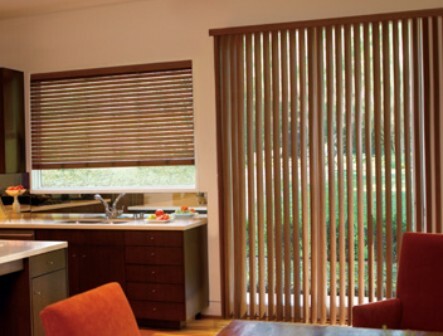 Vertical Blinds are elegant, affordable, easy to clean and maintain and provide excellent light control. The contemporary look of our Faux Wood Verticals are perfect for the budget-minded shopper.